Everyone longs for a haven. But what IS a haven? 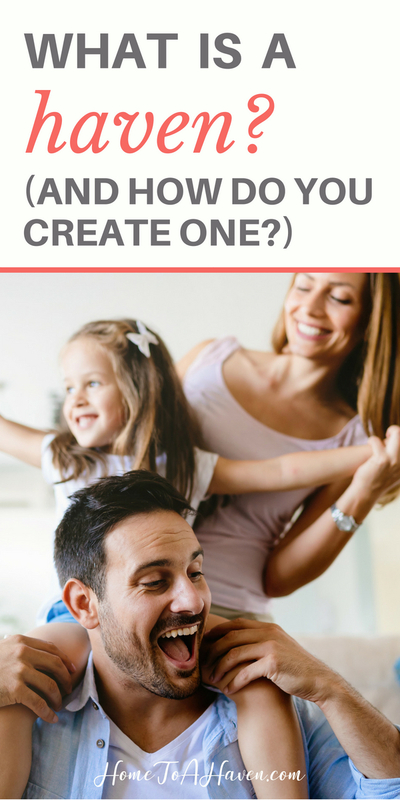 And how can you create one? Haven. Just the word makes me smile. When I think of a haven, I think of a safe place. Comfort in the midst of a storm. A welcoming harbor. Havens protect. When entering a haven, your soul finds refreshment. You feel a sense of belonging. You’re wanted and nurtured. Havens can be people. You feel safest with them. They understand you like no one else; rarely do you have to explain why you’re thinking what you’re thinking, because they just know. You long to spend time with them. But havens can be places, too. Think about a city that makes you feel at home. What’s your favorite place to escape when life gets crazy – a coffee shop, a bookstore, a park? Where do you go to feel refreshed? 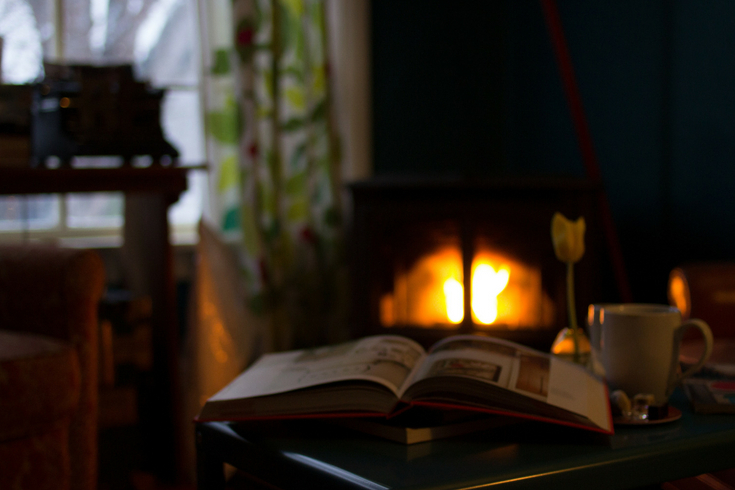 Home is one place that can be a wonderful haven – because it’s a haven that you create. It has the potential to be a haven specifically for you. Homes aren’t always havens, though. And havens aren’t created automatically. Just because you happen to live in a place doesn’t instantly transform it into a haven. And just because you exist, doesn’t make you a haven for others. No, havens typically are the product of a lot of thought and energy. They’re not randomly cobbled together, but thoughtfully and intentionally created. Wondering what kind of haven you’re already amazing at creating? And what kind of haven you should focus on right now? 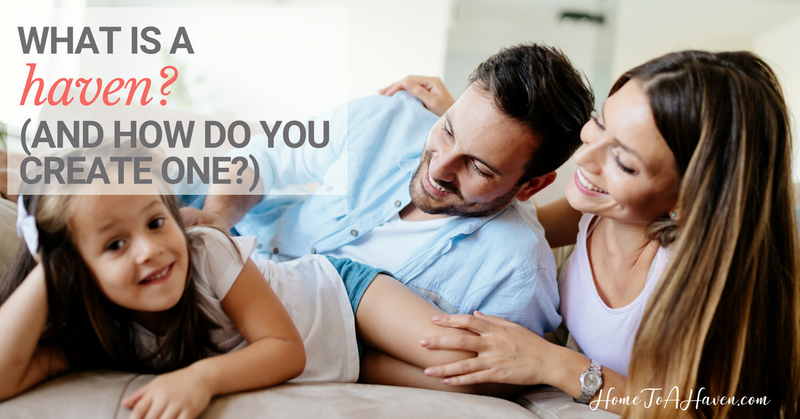 Find out with this quick quiz! First of all, havens are welcoming. Like it or not, your attitude is a dead giveaway, the thermometer of exactly how welcoming you are. Are you cool and standoffish? Distracted and distant? Or are you friendly and cheerful? Just as you need to be welcoming, your home does, too. Do you make time for others? Are you building into their lives and thoughtfully learning more about them? Do you accept who they are with grace, while gently pointing them to the Lord? Do you give yourself grace, or do your expectations put others on edge? If you’re trying to transform your living space into a haven, what you’ve chosen to keep in your home can mirror your attitude. Is your home starkly decorated and uninviting? Or filled with piles of clutter and mess? Or do you try to keep things tidy enough and have put a little thought into what fills your home? Get weekly haven creation encouragement and help sent directly to your inbox … click here to sign up! When turning any home into a haven, I like to keep things fairly clean and focus on engaging four senses. What will people see when they enter my home? Are they seeing lovely things? Does it look like a cozy and comfortable place? What can I add or take away that will make it look more like a home? What does my home smell like? Does it have a bad odor? A musty smell? Or can I fill it with inviting scents? What does my home sound like? Is it filled with noise and interruptions? Or can I quiet things down or add some inviting music? What does my home feel like? Is everything stark and bare? Or does it include different textures? Are there soft blankets to offer, or rugs to cushion feet? When I step back from my home and try to look at it as a stranger, it’s easier to see what needs added – or taken away. And when I try to look at my own life as others see me, I can find how I need to change to become a warmer, more welcoming woman. By focusing on these four senses and keeping a welcoming attitude, you can start the process of transforming your home (and yourself!) into a haven that can nurture yourself and others. For you, what is a haven? 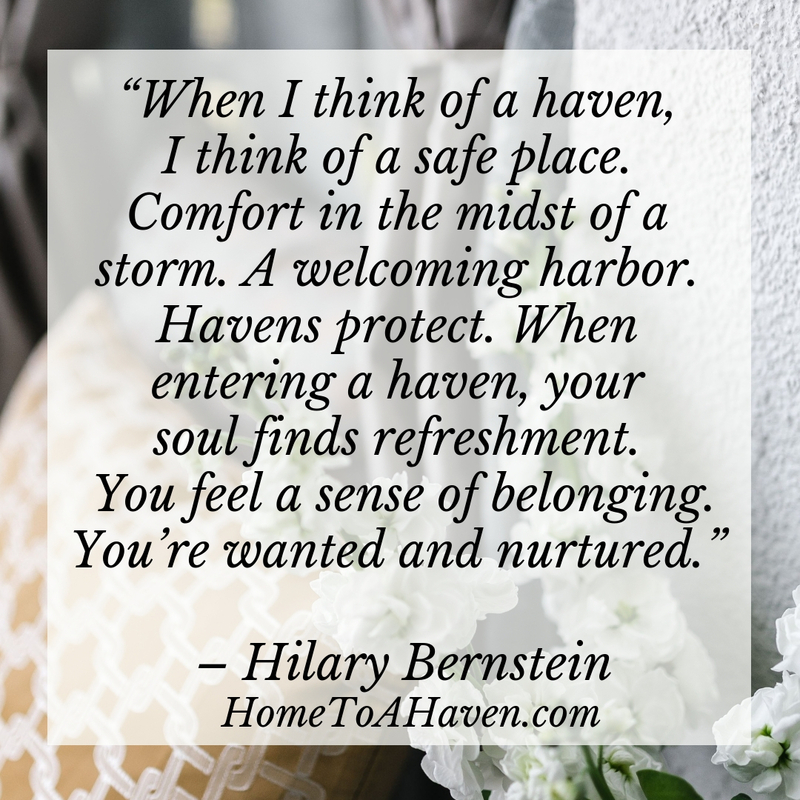 What makes a person or a place feel like a haven?